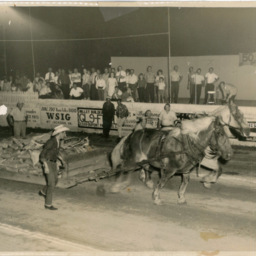 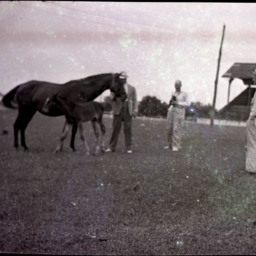 Photograph showing two horses with riders racing at the Shenandoah County Fairgrounds. 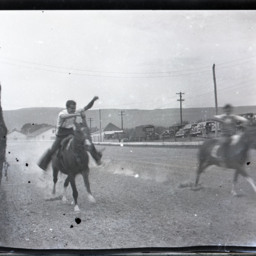 The identity of the riders and horses is unknown. 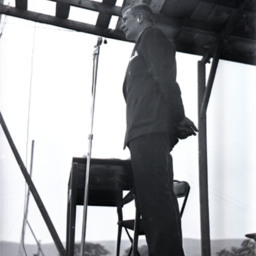 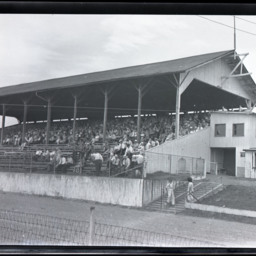 Photograph showing a crowd gathered in the grandstands at the Shenandoah County Fair. 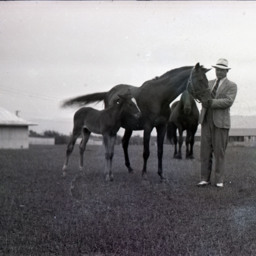 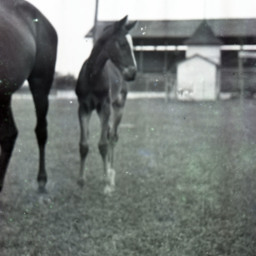 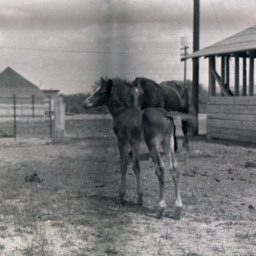 Photograph showing a pony and a horse at the Shenandoah County Fairgrounds. 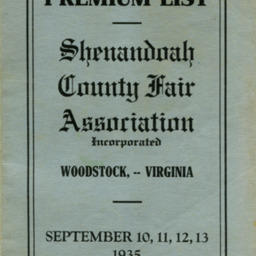 Scan of the cover of the 1935 Shenandoah County Fair Premium List Book. 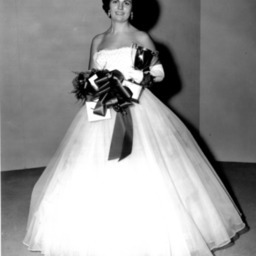 Photographs of Jane Senseney, 1963 Shenandoah County Fair Queen. 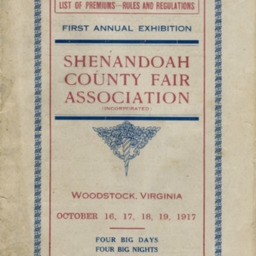 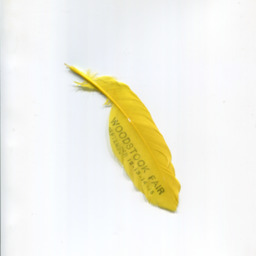 Scan of the cover of the First Annual Exhibition Premium Book from the 1917 Shenandoah County Fair. 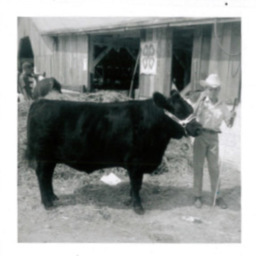 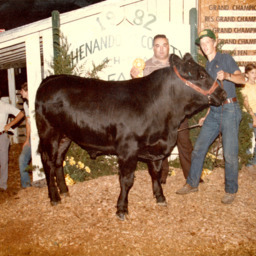 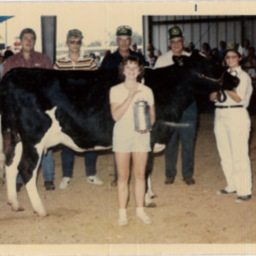 Photograph showing from left Joe Fleming, Henry Dyke, and Mike Cook with Cook's prize winning bull at the 1982 Shenandoah County Fair. 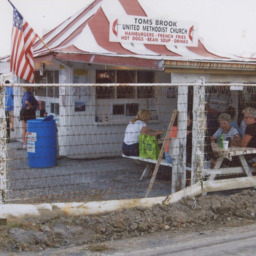 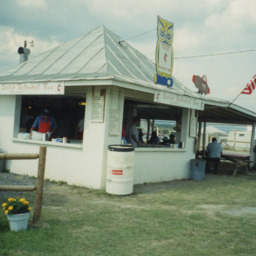 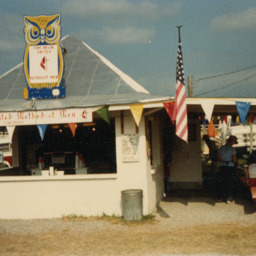 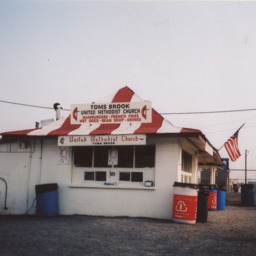 Scan of an undated photograph showing the Toms Brook Methodist Church's Methodist Men food stand at the Shenandoah County Fair. 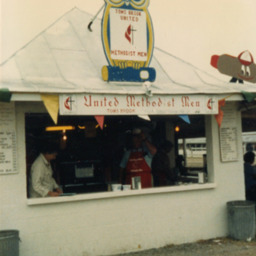 Scan of an undated photograph showing the Toms Brook Methodist Church's Methodist Men food stand at the Shenandoah County Fair. 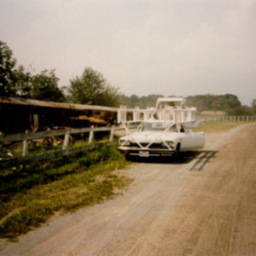 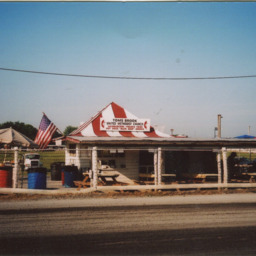 The stand was located inside the track area and is no longer standing. 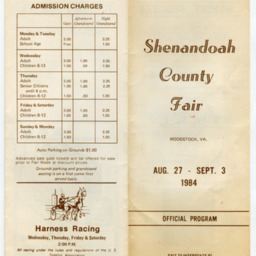 Scan of the 1984 Shenandoah County Fair Program. 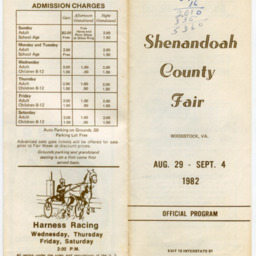 Scan of the 1982 Shenandoah County Fair Program. 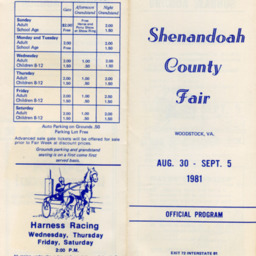 Scan of the 1981 Shenandoah County Fair Program.